Every Year, US travel publication, Travel + Leisure engages its readers in sharing and rating their experiences from across the globe. Recently, the Magazine publicized who the emerging winners were of the 2017 World’s Best Awards Survey. Saint Lucia was listed as one of its Top Caribbean Destinations in the 2017 World’s Best Awards. 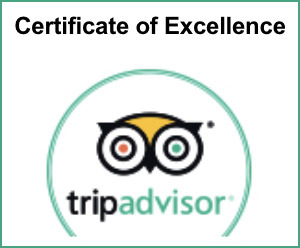 Readers are given the opportunity to share their experience based on categories such as Hotels and/or Resorts, Tours and Excursions, Food and General Value for money. The Magazine then produces its Annual top list of places to visit and experience. 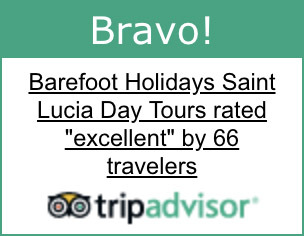 Saint Lucia’s score, 82.6%, surpassed scores of neighboring islands like Barbados. However, it wasn’t able to score high enough to capture the Top spot from Anguilla, which scored 86.8%. So close yet so far! Travelers were not only attracted to the Sun, sand and sea. Travel + Leisure highlighted that travelers were attracted to destinations that offered more than the typical tourist experience but something that drives the island to be different. 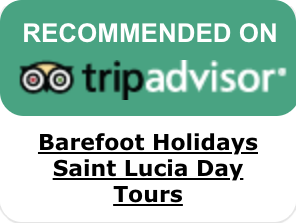 As with Saint Lucia, it offers unique attractions like the World’s only Drive in Volcano, the World’s renowned Twin Peaks and the Sulphur springs mud bath. Saint Lucia continues to receive the Spot light.